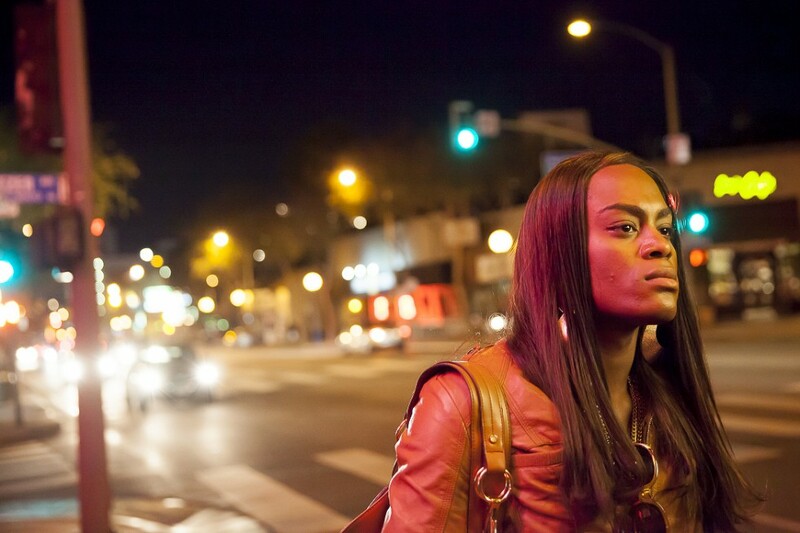 Tangerine is a transsexual prostitute Christmas comedy. Just typing that put a smile on my face, although not as big as the one I had while experiencing the film itself. Over the course of less than 90 minutes I was mesmerized by the blast of energy bursting from frame after frame after frame. So bright. So hypnotic. Such insanely unique and tremendously realized cinema. When Tangerine feels real, it does so with a level of passion that can feel uncomfortable at times, like we are taking a real close look at a sexual subculture that a suburban guy like me simply isn't accustomed to witnessing. When Tangerine feels surreal, it is gloriously strange, a kaleidoscope of warm yellow hues telling a completely unique story by utilizing the confidently bizarre craft of director Sean Baker. Featuring a cast of inexperienced transgender actresses, Tangerine is the type of picture I will point to when wanting to exemplify how wonderfully different and open and raw independent cinema can be. This film could technically be made as a Hollywood production with a budget, but it would be a phony shell of what was achieved here. Due to financial concerns, Tangerine was filmed entirely using iPhones and yet despite this being a limitation it works as a blessing. It is through this lens that this world feels so weird yet welcoming. The cast list would be made up of recognizable talent playing characters rather than human beings showing the world who they are, and thus it simply wouldn't have the heart. Oh and the heart. My goodness does Tangerine have a beating, beautiful heart, which may be hard to believe if you witness some of the more obnoxiously odd sequences of the picture before you get to anything tender and touching. When we do get a chance to see these women share quiet moments together, it's the way they care for one and another that hits home the hardest. Two scenes in particular, one in which Sin-Dee (Kitana Kiki Rodriguez) tends to Dinah (Mickey O'Hagan) in a restroom, being gentle and delicate with her bruised face as she applies makeup to it has a profound level of power to it for something so seemingly unimportant, and the other being the absolutely perfect ending to the film, a final frame that is so kind despite it being filled with two characters who only moments earlier were moved to tears due to the anger of newly discovered infidelity. 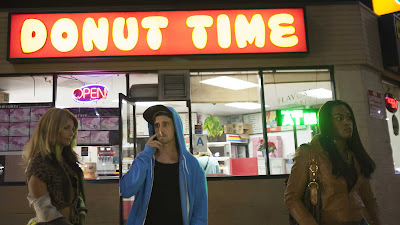 Tangerine is fiercely funny and the level of energy that pours out of the screen and through the music that pumps extra life into the glow of the sunny cityscapes of Los Angeles is palpable, but it's the heart. It's the beating, beautiful heart that is allowing every wonderfully paced and refreshingly interesting minute of this film to linger in my mind and leave me wanting more. I gave this one 4/5. I really enjoyed it. I loved the soundtrack. It really punctuated some scenes well. I especially love movies like this because they give me a look at people I would never have the opportunity to interact with in my daily life. Exactly. I would have have the chance to interact with anyone like the characters in this film, as my life simply doesn't cross paths with anything of that nature. It is fascinating to experience even a small amount of time with them and be a fly on the wall for some of the bizarre and yet also some warm and kind moments in their life.